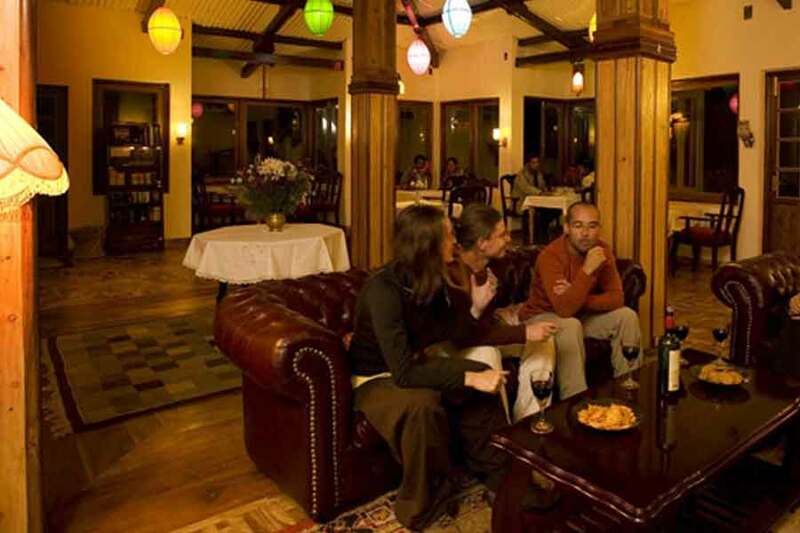 Use the form below to inquire about Nature Resort In The Nilgiris . Use the form below to reserve for Nature Resort In The Nilgiris . 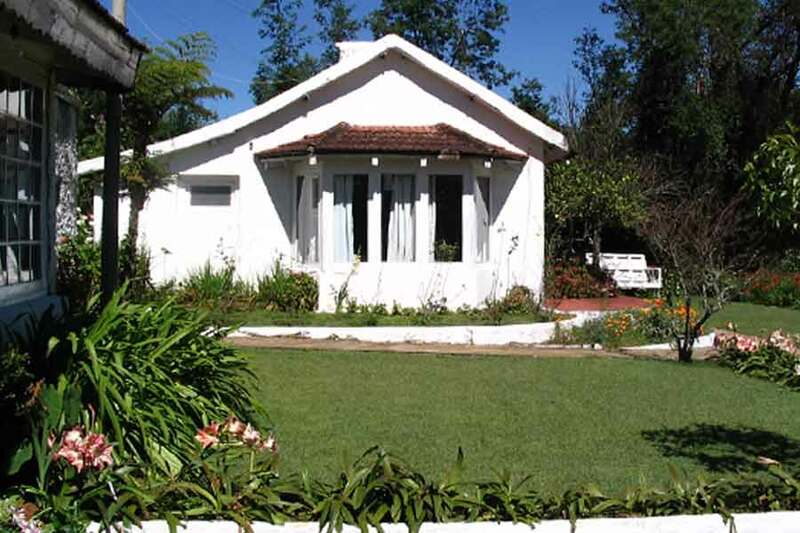 This exclusive Nature Resort In the Nilgiris at Avalanchi is situated in the midst of lush tea plantations and offers the ultimate in privacy and seclusion. Feel like the King or Queen of the Mountains as you drink in the amazing views of the Nilgiris and Emerald Lake from your bedroom window as you sip a cup of coffee each morning. 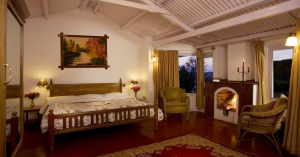 The spacious rooms and cottages make you feel at home and you are sure to wish your holiday would never end! 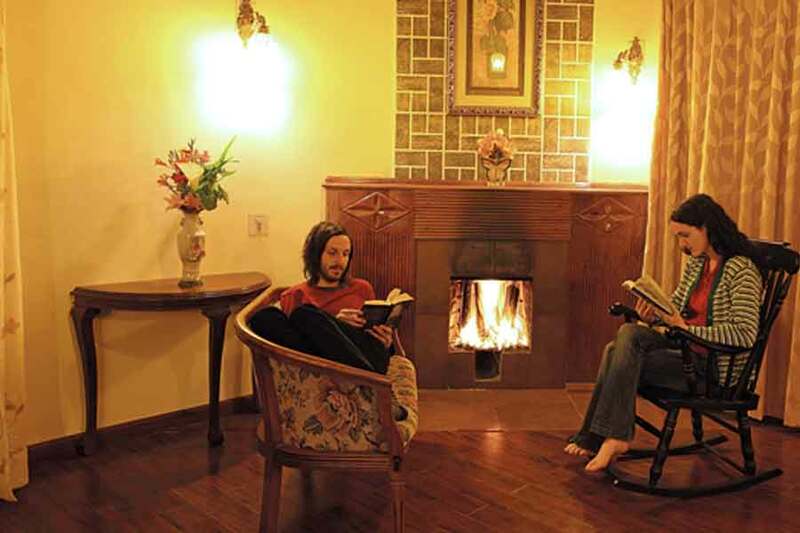 Enjoy a relaxed evening by the fireplace in the company of friends and family or enjoy the solitude as you gaze into the warmth of the leaping flames. 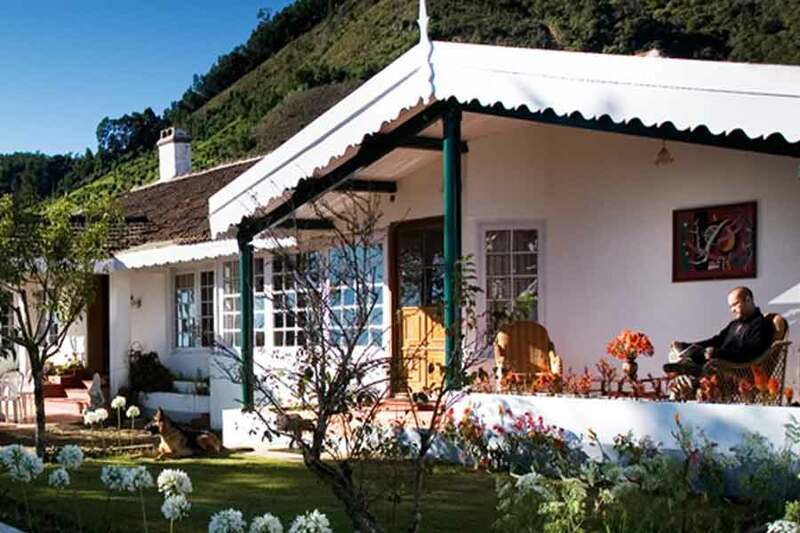 Sun yourself on the porch on wintry mornings as you gaze out at the landscape over breakfast at this Nature Resort In The Nilgiris. Take a leisurely stroll across the property enjoying a visual treat with the colors of flora and fauna found here. Songbirds greet you and exquisite blooms wave in the gentle breeze while a waterfall gushes down the rocks creating a melody of its own. 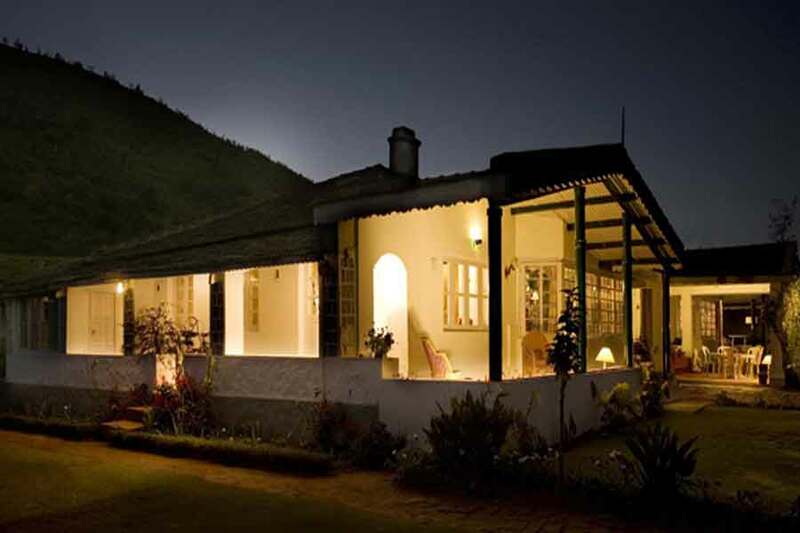 Meditate in the tranquil surroundings to rejuvenate your soul and mind at the yoga temple. Opt for a yoga tour or just take a few sessions during your stay—the choice is yours to make. Tantalize your taste buds with gourmet food at the in-house restaurant Kikui with ingredients sourced from the organic farm. All meals are a buffet with Indian, Continental, and Chinese to choose from. Indulge in a variety of outdoor activities if you wish or just catch up on your reading undisturbed. A great choice for intimate destination weddings, Nature Resort In The Nilgiris also assists in the planning for your special day. From accommodation to transportation to arrangements for food, everything can be readied as per your requirements. Overnight stay includes all meals (breakfast, lunch, and dinner), morning and afternoon tea and taxes. Includes usage of all activities at the Resort (excluding activities that involve transportation). Any activity not mentioned in Inclusions are charged on actuals. Children who are 4 years and younger stay free at no charge. A government-approved Identity proof needs to be produced at the time of check in. The Foreign guests have to carry required documents as per the Government regulations. A deposit of one night’s room charge is required to guarantee reservation The deposit is non-refundable, however, you may utilize the amount paid towards a future reservation. The day trip guests are welcome to enjoy a homemade lunch buffet. 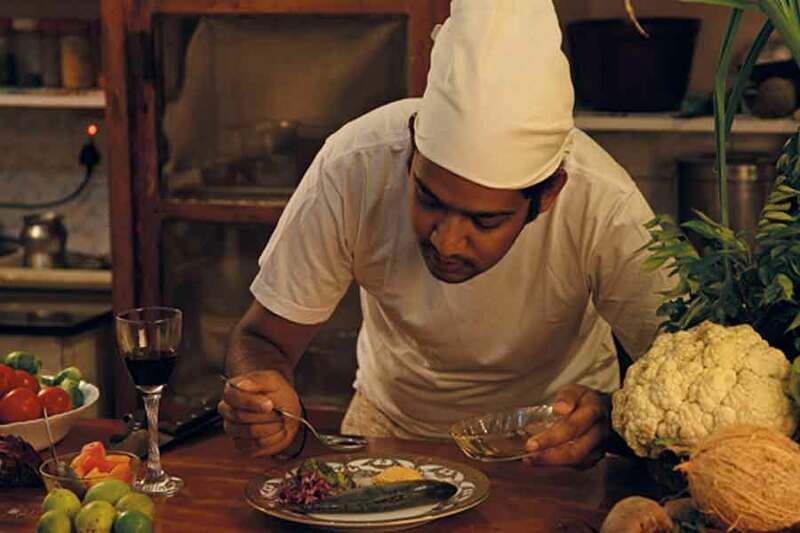 Indian food is served daily with veggies and herbs from the Resort's own garden. Meals for children under 5 years is not charged. The roads leading to the Nature Resort are unpaved. We only recommend Sports Utility Vehicles and/or Vehicles with 4-wheel drive for this last leg of the journey to the Resort. The roads to this Nature Resort are unpaved and not recommended for small and mid-size cars. Please keep this in mind if you intend to drive yourself. The road can be very bumpy and can cause discomfort. Though it is well worth the journey in the end. If you would like to arrange transportation by Sports Utility Vehicle, please let us know by phone or when making a reservation on this website. We will coordinate for a driver to pick you up from Ooty. If you are taking public transportation, we can arrange a car pickup from the bus stop or train station. There is an option to drive till Ooty and park the car in town. We will recommend several safe parking spots and make arrangements for pickup from your parking spot. Just let us know and we will be happy to make the arrangements. Your reservation will be held until 10:00 AM the day following your arrival date, after which the room will be released. No adjustments will be made for a no-show and any requests for refund will not be entertained. 50% of tariff shall be retained and the balance after deducting any bank charges shall be refunded. The retention amount may be used as a credit for future holidays and rescheduling charges may be applicable. However, the last moment cancellations may not be eligible for future credit and shall be at the sole discretion of the property management. A great destination for a quick weekend getaway (for those living in South India) by road from Ooty (27 km), Coonoor (45 km), Coimbatore (105 km), and Mysore (155 km). It is also a perfect holiday spot for tourists from Bangalore (310 km), Chennai (539 km), and Cochin (281 km).